The Craig Hospital Research Department currently has a staff of 26 with an annual budget of $5.5 million in federal, state, foundation, and industry-sponsored grants devoted to conducting a wide variety of applied spinal cord injury (SCI) and traumatic brain injury (TBI) rehabilitation research. In addition, funds raised from the annual PUSH Dinner support both basic and applied research. 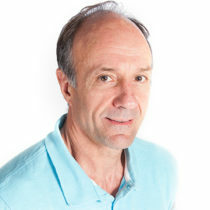 The Research Department was established in 1974 when Craig was first awarded a Spinal Cord Injury Model System grant from the US Department of Education, National Institute on Disability, Independent Living and Rehabilitation Research (NIDILRR). In 1998, Craig’s brain injury program received a similar designation when it was first named a TBI Model System. Each Model System grant consists of a three-pronged research effort: contributing to a national longitudinal database, conducting local research projects that are of interest and importance to Craig, and collaborating with other Model Systems in research of common interest. In 2006, Craig was named the TBI Model Systems National Data and Statistical Center, managing the TBI National Database and coordinating research among all TBI Model Systems. Perhaps the greatest benefit of the Model Systems programs is the research climate they have spawned here at Craig Hospital, giving us the expertise and confidence to successfully compete for and obtain funding from other sources as well. Craig currently receives research funding not only from NIDILRR, but also from the Congressionally Directed Medical Research Program (CDMRP) which is part of the Department of Defense, MINDSOURCE (formally the Colorado TBI Trust Fund), the Craig H. Neilsen Foundation, the Craig Hospital Foundation, other foundations, other researchers via subcontracts, and pharmaceutical and medical equipment companies. As research has become more important to the mission and reputation of Craig, the Research Department has increased collaboration with other institutions by leading and participating in multi-center research and becoming a national research coordinating center. 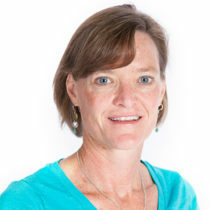 Cindy Harrison-Felix, PhD, FACRM, has graduate training in Clinical Sciences and Community Medicine, and is an Assistant Clinical Professor in the Department of Physical Medicine and Rehabilitation Medicine at the University of Colorado Denver. 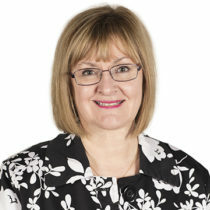 She has almost 40 years of experience working in disability and rehabilitation research with an emphasis in TBI and SCI. She serves as the Project Director for the TBI Model Systems National Data and Statistical Center located at Craig Hospital, and is Co-Project Director for the Rocky Mountain Regional Brain Injury System (RMRBIS), the TBI Model System at Craig Hospital. 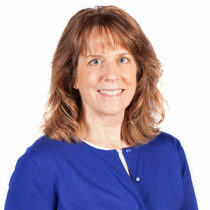 Susan (Susie) Charlifue, PhD, FISCoS, FACRM, started her career at Craig Hospital in 1976, and completed her doctorate in Health and Behavioral Science at the University of Colorado, Denver in 2004. She is Co-Principal Investigator SCI Model System at Craig Hospital in addition to coordinating several SCI research clinical trials. She is the Principal Investigator for both NIDRR and Department of Defense SCI grants. Gale Whiteneck, PhD, FACRM, directed the Craig Hospital Research program from October 1982 until February 2013 and has conducted research focusing on the full range of life-time outcomes following disability. He has advocated for full participation in society and quality of life as the primary outcomes appropriate for disability and rehabilitation research. He contributed to the World Health Organizations revised model of disability-the International Classification of Functioning, Disability, and Health (ICF)-and he continues to suggest conceptual improvements in the ICF. Dr. Whiteneck and his research team have developed two widely used tools to assess participation in society by people with disability-the Craig Handicap Assessment and Reporting Technique (CHART)-and to assess environmental barriers that restrict full participation-the Craig Hospital Inventory of Environmental Factors. In addition to overall responsibility for research projects, Dr. Whiteneck is the Principal Investigator of the NIDRR-funded SCI Collaborative study " Measuring Rehabilitation Outcomes" . In 2009 Dr. Whiteneck received the Gold Key Award of Merit, the American Congress of Rehabilitation Medicine's highest honor. Don Gerber, PsyD, is a Clinical Neuropsychologist and Principal Investigator at Craig with over 35 years of clinical experience evaluating and treating individuals who have sustained TBI and/or SCI. He has been the PI or Co-Investigator on prior RMRBIS research projects including; characterization of acute mild TBI, MRI investigation of acute TBI, and vocational-rehabilitation strategies after TBI. He is one of the co-founders of the BIAC, and has served as a consultant for the State of Colorado Workman’s Compensation TBI Task Force. Dr. David Arciniegas is Physician Research Scientist at Craig Hospital, Director of Education at the Marcus Institute for Brain Health, Clinical Professor of Neurology and Psychiatry at the CU School of Medicine, and Chairman and CEO of the International Brain Injury Association. His research, teaching and clinical work focus on the neuropsychiatric aspects of traumatic brain injury and other neurological conditions. His research has been funded continuously since 1996 by more than 35 extramurally funded grants, including 18 federal grants. He has published more than 120 peer-reviewed articles, 40 book chapters and seven medical textbooks; he is editor of the Journal of Neuropsychiatry and Clinical Neurosciences. He has delivered more than 275 scientific lectures in the Unites States and abroad, including a dozen named lectureships and keynote addresses. He received the 2015 Mitch Rosenthal Award for Scientific and Clinical Achievement in Brain Injury Rehabilitation from Virginia Commonwealth University and Brain Injury Services, Inc. and the 2016 Innovative Clinical Treatment Award from the North American Brain Injury Society. 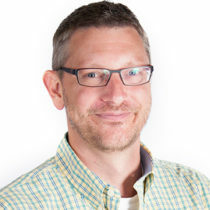 Dave C. Mellick, MA, has graduate training in Health Psychology and relevant experience in the area of database design and management, and data analysis, including the creation of data-driven risk models and web-based applications. 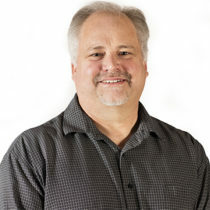 Mr. Mellick has been with Craig Research since 1995. Mr. Mellick is the Director of the Quality Support and Technology Cores for the Traumatic Brain Injury Model Systems National Data and Statistical Center located at Craig Hospital. Clare E. Morey, MA CCC-SLP, has been at Craig Hospital since 1996 working first as a Speech- Language Pathologist for five years before transitioning into a position in the research department. 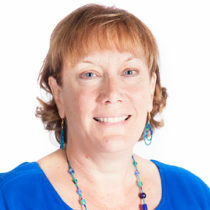 Ms. Morey received her BA in Psychology from College of the Holy Cross in 1984 and her MA in Communication Disorders from University of Colorado in 1995. Ms. Morey currently serves as a co-investigator and study coordinator for a number of clinical trials in the area of traumatic brain injury. Additionally, Ms. Morey serves as the IRB coordinator for all research projects at Craig Hospital. Jody Newman, MA, CCC, is a Speech-Language Pathologist with more than 30 years specializing in the area of brain injury rehabilitation. She joined Craig Hospital in 1998 and joined the Craig Research Department in 2002 as a Clinical Research Liaison. She is the co-author of Group Interactive Structured Treatment-GIST: for Social Competence. Currently, Ms. Newman serves as Co-Investigator and Director of Intervention, Training and Dissemination on a Department of Defense multi-site grant on Social Competence, studying the effectiveness of the GIST intervention. In addition, she serves as the Cultural Competence Coordinator for the TBI Model Systems National Data and Statistical Center. Ms. Newman continues to provide speech, language and cognitive therapy for individuals with TBI, as well as social competence group therapy for civilians, soldiers and veterans with TBI and PTSD through her private practice. 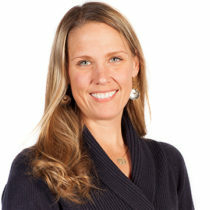 Jessica McKinney Ketchum, PhD, received a BS in Mathematics from New Mexico State University in 2001 and a PhD in Biostatistics from Virginia Commonwealth University in 2006. She has over a decade of experience working as a biostatistician in rehabilitation research, primarily utilizing the TBI and SCI Model Systems national databases. 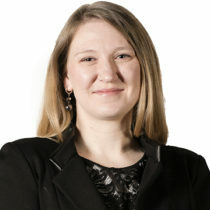 Prior to joining Craig, she was an Assistant Professor at Virginia Commonwealth University and Augusta University (formerly Georgia Regents University). Dr. Ketchum currently serves as the Lead Biostatistician for Craig Hospital and the Director of the Statistical Core for the TBI Model Systems National Data and Statistical Center. 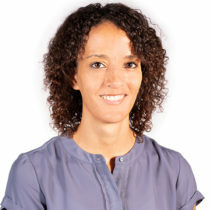 Her statistical research interests are focused on developing and applying methods for modeling longitudinal and other types of correlated data. 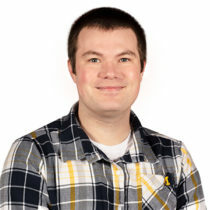 Mitch Sevigny, MS, received a Bachelor of Science degree in Zoology from Michigan State University in 2015 and a Master of Science degree in Biostatistics from the University of Michigan in 2017. Prior to working at Craig, he was a research assistant at the University of Michigan performing spatial research on the Zika virus in Brazil. He began working at Craig Hospital as a Biostatistician in March of 2018. He performs statistical analysis on projects for the TBI and SCI Model Systems. Jennifer Coker, MPH, has worked in the field of traumatic spinal cord injury and brain injury since 1997. Ms. Coker obtained a Master of Public Health (MPH) from the Rollins School of Public Health at Emory University in May 2001, where she won the James W Alley Award for Outstanding Service to Disadvantaged Populations. 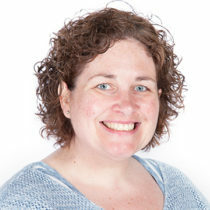 She has presented research at national conferences of the American Spinal Injury Association, American Association of Spinal Cord Injury Psychologists and Social Workers, the American Public Health Association, and the American Psychological Association. In addition, Ms. Coker has won several awards for research presentations and publications. She has been a Research Associate at Craig Hospital since April 2012 and works primarily with the TBI and SCI Model Systems projects, and is the Principal Investigator for the Bridge Reinvention project. CB Eagye, MS, has been a Research Associate and Data Analyst in the Craig Hospital Research Department since 2015. She has seventeen years of quantitative experience in the areas of data analytics, mathematical modeling and analysis, and data visualization. Currently, Ms. Eagye serves as a data analyst for the Traumatic Brain Injury Model Systems (TBIMS) National Data and Statistical Center, performing data processing and analysis for the 16 TBIMS and 5 U.S. Department of Veterans Affairs Polytrauma Rehabilitation Centers (VA PRC). She also serves as the Project Manager for the VA PRC contract. Ms. Eagye’s other research, which focuses on TBI prevalence, is supported by the Administration for Community Living/National Institute on Disability, Independent Living and Rehabilitation Research (ACL/NIDILRR) under the U.S. Department of Health and Human Services. Ms. Eagye received her BA in Mathematics from Wellesley College and her MS in Operations Research from The College of William and Mary. 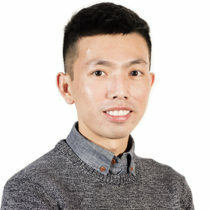 Nguyen Nguyen, MPH, received his undergraduate degree in Biology from Drury University in 2011 and his Master of Public Health from Boston University in 2013. Prior to joining Craig Research Department in 2016, he worked as a research coordinator on a clinical trial studying the effect of FES rowing on bone health in persons with SCI, and various module projects and site-specific studies as part of the Spaulding-Harvard SCI Model System. 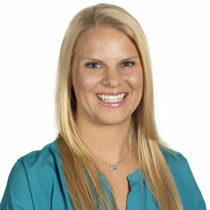 Megan Summers, MS, received her Bachelor’s degree in Biology in 2015 from the University of Colorado Denver, and her Master’s degree in Bioengineering from the University of Colorado Denver – Anschutz Medical Campus in 2017. Her thesis research focused on enhancing bone formation in-vitro through various cell culture techniques involving mesenchymal stem cells as well as in-vivo in a rat spinal fusion model. Currently, Megan is conducting pre-clinical trial work to assess neurological improvement in spinal cord injury following dental pulp stem cell transplantation. Kendy Noble, BS, received her degree in Sociology at the University of Colorado in Boulder. She has been an employee of Craig Hospital since 1993, joining the research staff in 1998. Ms. Noble has worked in health care for 30 years, and in addition to Research Interviewing has experience in Health Information Management. 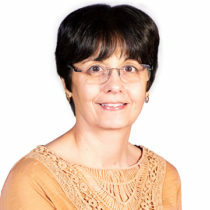 She has been responsible for data collection on several traumatic brain injury and spinal cord injury studies, and was the Project Coordinator for the RMRBIS module "The Natural History of Headaches After TBI". She currently serves as a Quality Support Liaison for the Traumatic Brain Injury Models Systems (TBIMS) National Data and Statistical Center, providing training, and consultation for 16 TBIMS and 5 U.S. Department of Veterans Affairs Polytrauma Rehabilitation centers. Susan Solnick, RHIT, has been with the Craig Research Department since 1980. She coordinates the National Database participation for the Rocky Mountain Regional Spinal Injury System overseeing all enrollment and data collection. Tiffany C. Brown, MBA, CCRP, received a BA in Political Science & Criminal Justice from Harding University in 2002 and a Masters of Business Administration (MBA) from Regis University in 2007. She has 18 years’ experience in finance and accounting administration including over 12 years’ experience as a Research Professional in all areas of Pre-Award and Post-Award Management within clinical and academic settings. Tiffany is a Certified Clinical Research Professional (CCRP) through the Society of Clinical Research Associates (SOCRA), has Fiscal Management (FM) & Research Law (RL) certifications within the Society of Research Administrators (SRA), and is an active member of the National Council of University Research Administrators (NCURA). Prior to joining Craig, she served as Operations Program Manager, Director of Finance & Operations, Clinical & Grant Manager, & Senior Financial Analyst. 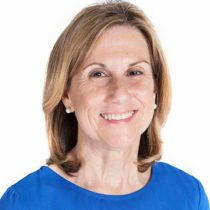 Her research focus includes proposal and budget preparation, grant administration, site administration and compliance, operations, financial reporting, closeout, progress report reporting, no cost extension requests, audits, and general award management. 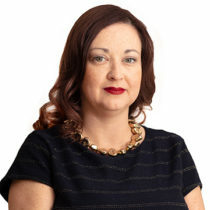 She has provided analysis and guidance on institutional and sponsor guidelines, OMB circulars & Uniform Guidance, application of statutory requirements, contract, and award terms. 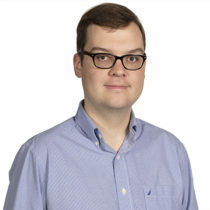 Will Williams has a MS in Electrical Engineering from the University of Colorado and 20 years of experience in the areas of developing scientific applications, data driven resource management systems, database design and management and has implemented multiple data analytics driven solutions, products and applications. Mr. Williams joined the Craig Research Department in 2016. 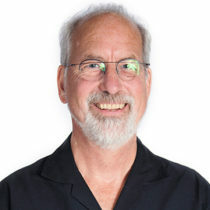 Rick Gildar received his bachelor’s degree in Political Science from Purdue University in 2007. He has worked in database development for 10 years, and has experience developing systems for electronic medical records, benefits management, customer relationship management, as well as oil & gas operations. Rick works on all Research Department databases, with a particular focus on the Traumatic Brain Injury Model Systems (TBIMS) database. 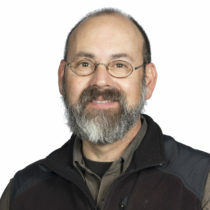 Rick joined the Research Department in 2017. Renee Carey has 28 years as an IT System Administrator, 20 of those years at Craig Hospital. Renee joined the Research department in January, 2018 to assist the technical team with their work on the Traumatic Brain Injury National Data and Statistical Center website and be the point person for any other Research IT projects. 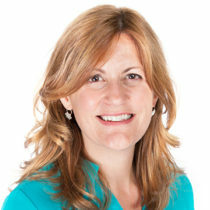 Sara Huey, MA, received her undergraduate degree in Social Work from Wartburg College in 1998 and her Masters in Business Administration from Argosy University in 2009. She has been an employee of Craig Hospital since 2007, joining the research staff in 2009. Currently she is working on medical record abstracting for the “Measuring Rehabilitation Outcomes” SCI study, as well as projects for the Rocky Mountain Regional Brain Injury System and the TBI National Data and Statistical Center. Angie Philippus, BA received her bachelor's degree in Psychology from Metropolitan State University of Denver. 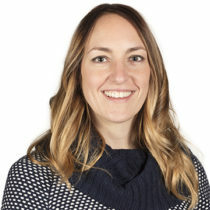 She joined the Craig Hospital Research Department in 2009 and is currently the research assistant for a randomized controlled trial pilot, "Optimized Sleep After Brain Injury: A Pilot Study". Additionally, Angie conducts participant follow-up interviews for the Rocky Mountain Regional Brain Injury System (RMRBIS) and is involved in multiple module and site-specific studies as part of the TBI Model Systems program. 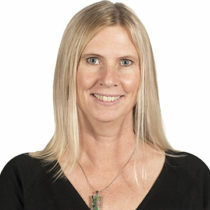 Donna Wolff, BS, received her Bachelor’s degree in Finance from Colorado State University and joined the Research Department in December of 2014. She has worked as an Executive Assistant, Controller, Marketing Assistant, and Project Manager in the neuro-monitoring, behavioral health, health insurance, and oil & gas industries. Currently, Donna supports the Research Department Director and staff in various administrative roles and serves as the Administrative Manager of the Traumatic Brain Injury Model Systems (TBIMS) National Data and Statistical Center. Hannah Gazett, BS, received her Bachelor’s degree in Biomedical Sciences from Colorado State University in May 2016 with an emphasis in Functional Neuroanatomy. She joined the Craig Hospital Research Department as a research assistant in April 2017. 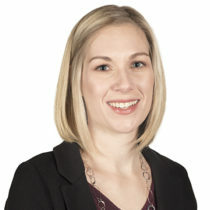 Currently, Hannah conducts patient follow-up interviews for the Rocky Mountain Brain Injury Systems (RMRBIS) and is involved in multiple module and site-specific studies as part of the Traumatic Brain Injury Models Systems (TBIMS). 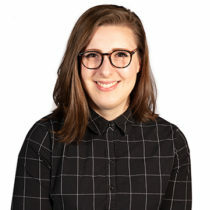 Abby Welch, BS, BA, received Bachelor’s degrees in Psychology and Gender, Sexuality, and Women’s Studies from Virginia Commonwealth University in 2015. Prior to joining Craig’s Research Department in May 2018, Abby collected data for VCU’s Traumatic Brain Injury Model System, and conducted studies centered on racial and gender discrimination in the healthcare field. Currently, Abby collects follow-up data for the Rocky Mountain Regional Spinal Injury System (RMRSIS) and its collaborative modules. 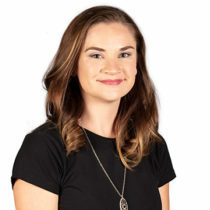 Bria Macintyre, MS, received her undergraduate degree in Psychology in 2012 and her Master’s degree in Research Psychology from the University of Texas at San Antonio in 2015 with a focus on research design and quantitative methods. Before joining the Research Department at Craig Hospital in July 2018, Bria worked as a research assistant for STRONG STAR Research Consortium which focused on evidence-based treatments for service members, both active duty and retired or discharged, who had been diagnosed with service-related PTSD. Currently, Bria collects follow-up data for the Rocky Mountain Regional Spinal Injury System (RMRSIS) and its collaborative modules.